Back in 2014 Matt Cutts of Google, came out and said that social signals and activity, like those from Facebook, Twitter and now Instagram, have no impact on Google Search Rankings. They said they will cull them as individual results, but they do not impact the website they are linked to. Going even further, it’s been confirmed that a link on Facebook is labelled as a “no follow” link, which in SEO terms means that it doesn’t carry any juice. That means that any links you build on your Facebook Business Profile, or in any groups, will have ZERO impact on your off-page SEO rankings. So, that leaves a lot us wondering, why would we even bother? With Facebook greatly reducing organic reach, why would we push a social strategy that doesn’t even help with SEO? Well, let’s break it down a little. One of the things social media is great for, is for increasing both your referral or direct traffic. While a link on social profile may not count towards your overall backlink count, the traffic that comes from them does. One of Google’s ranking factors is how much traffic your website receives, with the importance of direct traffic outweigh that of referral (although both are important!). In addition, Facebook and other social media sites tend to have excellent domain authority, meaning that the traffic coming from them is usually higher quality, another factor in Google rankings. 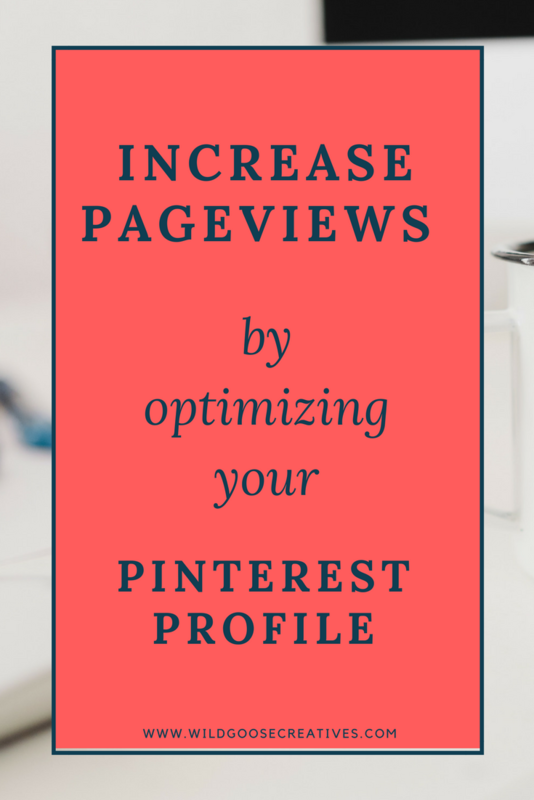 Driving more traffic to your blog posts or general website pages through your social profiles is a great, and efficient way, to increase your rankings. Outside of placing links in your posts, think about ways you can drive direct traffic through your social profile. Adding a URL to your cover photo or on your profile that a user can copy and paste into their browser can help in this respect. Now that we know that including links in your social media can have an impact on your SEO (even though it’s not the traditional one you think of), let’s break down where you should be placing those links for maximum impact. Social Posts - This one may seem obvious, but every time you post a piece of blog content or refer to your products or services, make sure you post a link for your audience to follow. Your Social Profile - Almost all social media platforms let you add a link to your website under your “profile” or “about” section. Make sure you utilize this real estate by linking back to yours. In Your Groups Description - with the decrease in organic reach for business pages, a lot of business owners have turned to creating Groups where they can interact with their audience. Don’t forget to put your logo inside your groups description for members to find it! Your Page Button - on Facebook in particular, you have an option to add a link under your cover photo with a call to action. Make sure this link goes back to your page with an appealing CTA. Cover Photo - When crafting your cover photo image, think about adding some text and printing your URL on there. Make sure it’s short and easy for a visitor to copy into a browser bar. It’s almost become a joke among marketers and business owners, what change is Facebook going to announce this year? It seems like the New Year brings a new announcement from the social media giant, who seem to be perpetually rolling out changes that seem mostly geared towards business presence, ad sales, and curating content for its members. After a troubling 2018 and mass concerns regarding privacy breaches and inauthentic content and accounts, many subscribers and investors were left wondering how Facebook would address these issues in 2019. In a lengthy essay written by Mark Zuckerberg on Facebook’s website, we’re able to see the new vision of the social platform, and that is overwhelmingly privacy. So, what does that mean for both private members and business owners? Let’s break it down a little bit. The first thing to talk about is the overall vision of what this new privacy based platform would like. Many people are guessing that Facebook will start to look more like the popular messaging platform, WhatsApp. This means that your messages will now become encrypted, so that they are only visible to those that are having the conversation, and not even Facebook itself will be able to access the content. Privacy advocates are applauding the move, while some government agencies are expected to push back, stating this move will drastically increase the spread of harmful content, and hamper Facebook’s ability (and promise) to stop the spread of “fake news” on it’s platform. Outside of it’s change in it’s messaging policy, something that has left a lot of marketers scratching their heads is Zuckerberg’s likening of Facebook becoming less like a town hall broadcasting information, and more like a private living room, with private conversations. This is where things get murky. While we’re still unsure what this change will look like, it seems to imply that business communications will be limited to private groups and advertising. It’s assumed that ad prices will rise, and targeted groups will become smaller and more engaged. How businesses will be able to target is still up in the air, as privacy concerns and Facebooks new commitments, means less information available to marketers. Another hint from Facebook has been a focus on a commerce platform that allows you to buy and sell or collect payments from family and friends. We’ve seen this become more popular among Facebook Marketplace and private Buy/Sell/Trade groups - although at this time payments are processed through PayPal or private transactions. What will be interesting to see is how businesses will be able to tap into this new revenue stream, or if will be strictly focuses on private sales. Overall, I don’t think this means the end of Facebook for Business, but I do think it will mean that organic reach will continue to go down. In addition, I think the clever ways businesses have used to get around things (like utilizing groups) will become less effective as privacy goes up. However, I do believe the audience may become even more valuable as they become more targeted and engaged - just be prepared to open up your pocket book to reach them. 2018 was the year brought the massive news feed changes. It reduced businesses organic reach and shifted all of our focus pretty heavily towards advertising. As soon as we started to adjust to that, Facebook got hit with some pretty serious data protection claims, which has now changed the game in what information advertisers can access and how they can target their ads to potential customers. So, as we enter 2019, this leaves us scratching our heads, wondering, “What is happening?” What are the next big changes coming up to Facebook in 2019, and what does that mean for us as businesses? Well, in order to answer that question, I turned to someone a little smarter than me… Google. After doing some research (and combining it with what I’ve seen for myself and my own clients), I’ve come to a few conclusions. Ad pricing will rise - As organic reach continues to shrink, and the demand for ad space on the platform continues to rise, it’s just a classic supply and demand issue. Ad costs will go up, and it’s going to become more and more expensive for businesses to break through and show up in the newsfeed. Facebook/Instagram Stories - While Facebook stories haven’t taken off like Instagram ones have, the ability to shop right inside, and offer full screen video and still advertisements, it’s no wonder they have caught the attention of advertisers. Think about how you can utilize these, especially if you’ve found your newsfeed ads losing steam. Video, Video, Video - We seem to say it in everything we write and it couldn’t be more true on Facebook. Video is continuing to take over, and with new video creation tools offered right inside the ads manager, it’s becoming easier for smaller businesses to take advantage of it. Look-a-like Audiences 2.0 - That’s right, while you may not be able to target based on off-platform behavior yourself anymore, the new Look-a-like Audiences will help you better identify your own audience, and find those who are similar in values and behavior. Want to see some of the other things that may be important when it comes to Facebook in 2019? Check out this article I found to read more, and happy Facebooking! Want more trainings and classes on growing your business online in 2019? Check out The Digital Marketing Hub! Sometimes it feels like you’re talking and talking and no one is listening (please tell me that I’m not the only one!). You spend so much time and energy planning amazing video content to use in blogs, on your Facebook profile, and in your advertisements. You record, rerecord. and probably rerecord again, until it’s perfect (or as perfect as it’s going to get). You upload, hit publish and… it feels like you’re talking to a brick wall. Here’s the deal though. You’re audience isn’t listening to you. And chance are they probably aren’t going to 90% of the time. So how can you get them to hear what you have to say? This week’s video has the answer to that question, and trust me, it’s WAY easier than you think! Ok, so this is more the ‘Tuni Schartner’ guide to LinkedIn etiquette, and anyone that knows me is probably getting a chuckle right about now as I tend to tell it like it is and I’ve been known to be honest to a fault! I’m not, necessarily, who you would think of in an Emily Post reference. But, when it comes to LinkedIn I think I have a pretty decent grasp on best practices around ‘how to behave appropriately’. I’m, at my core, a relationship marketer – I enjoy meeting and getting to know people and I’m a natural connector and facilitator of putting together mutually beneficial relationships. LinkedIn is a platform designed for professionals to engage, it is not a ‘social’ site like Facebook or a dating site (more on that later!). Professionals are people. When it comes to sharing your professional information on LI, remember that even the top CEOs (or whoever you’re trying to connect with) are people so information should be created and delivered in a way that the ‘people’ on the other end hopefully find interesting, become engaged and might even convert into clients/customers or great referral sources. LinkedIn is a GREAT way to connect with and build your audience! *Quote taken from the book, ‘Never Eat Alone’ by KeithFerrazzi. Hoffman’s quote really hits the nail on the head. Why are you here? LinkedIn can be a highly effective tool in your toolbox for creating connections then building trust with those connections that turn into mutually beneficial relationships. I often recommend to our clients, our Hive coworking members, and at workshops I lead on the topic of ‘Painless Networking Tips to Grow Your Business’ that when an authentic connection is made, say at a business networking event or through a warm introduction, etc…you then send a connection request on LinkedIn with a personalized note – as well as follow them on their other appropriate platforms ‘appropriate’ being the operative word here as their personal Facebook page wouldn’t make sense if this is strictly a professional connection. In the case that a connection is made at a networking, business or even personal event and it appears that this might be a mutually beneficial connection, I recommend you follow up immediately with a personal email (or phone call or both) then go to LinkedIn and send that connection request and note. If you find someone on LinkedIn that you’d like to be connected with – for different reasons such as, he/she is a colleague of a friend or client, someone you’ve met in the past through business or even an old schoolmate that you found on LinkedIn that makes sense (again in a professional and respectful way) to connect with , a new client (individual and team members), and so on, use the same basic practice of sending a connection request with a personal note explaining why you’d like to connect. Ok, now back to that reference to LinkedIn NOT being a dating site…don’t ever ask someone to ‘hang out’ or in any other way ‘hit on’ someone on this platform – it’s creepy folks, this is a professional platform. Sorry, this literally just happened to me and as I was planning on writing this week’s Hub Digital blog on this topic…couldn’t resist and had to add this ‘what not to do’ tip! Another what NOT to do tip, and this one is HUGE, don’t send someone a connection request and as soon as they accept it send them a super cheesy straight up sales pitch. ‘I love it when people do this’ SAID NO ONE EVER!!! Overview: LinkedIn is a great resource and tool. Use it to highlight your unique value proposition, differentiator, expertise and unique personality in a professional and respectful way that would make both Emily Post and I proud! Grow your network, grow your business through solid relationships and the mutually beneficial sharing of information and connectivity! Budgeting for Advertising - How Much Should You Spend? Whenever we bring up the topic of digital advertising we always get the same question, over and over again. How much does it cost? This is a tough one to answer. Knowing how much to spend on your digital advertising is really dependent upon your business, time of year, and frankly, what you have to spend. The great thing about digital? Even the smallest budgets can succeed online, which is especially helpful for small businesses that are priced out of the more traditional options, like newspaper and TV. We've pulled together some basic guidelines on what you should be prepared to spend if you really want to start seeing your online ads make a difference for you. Again, remember these are just general guidelines and should be adjusted to fit what you find works best for your individual business (testing is always important). The big kahuna. The main one. The platform everyone wants to be on. With an estimated 33.76 BILLION (that's right, billion with a "B") expected to be spent on Facebook ads in 2017, both local and national advertisers alike know that this is the place to be. However, with so many options available it can be hard to know exactly what you should be spending on each of the different types of campaigns. Like Campaigns - While guaranteed to get you likes, it can be a little hard to know if the people liking your page are truly interested in your business. Keep these budgets small, starting around $50 for a 3 or 4 day run. See how they perform and go through the list of who liked your page to see if any seem "off" or "spammy". Then wait a few weeks to see if engagement has gone up or these new likes are paying off. Boosted Post - Again, jury is out on whether these are effective or not so keep the boosted posts to only those things that are truly important. Limited your boosting to your own fan base can be beneficial to ensure you reach all the fans that you just can't get to relying on organic reach alone. Save targeting people outside of that existing fan base (those that already like your page) for a more traditional FB advertisment. Advertisement - For more traditional advertisements (whether they be static image or video ads) start small here and gradually increase your budget over the course of a few days. Studies show that throwing large amounts of money at your ad off the bat actually ends up costing you MORE per lead in the long run. Another benefit of this strategy is that you can test different ads and target groups slowly with less money and then increase spend on those that you find are working for you. Plan on hitting a target of at least $30 to $40 per day (this can go up to hundreds of dollars per day if your budget allows) and being about to sustain that for a minimum of 5-7 days to really see ad impacts. Total Spent Per Campaign: Start at about $10-$20 per day, Slowly increase in $5 or $10 increments daily depending on overall budget and time of campaign. Another Facebook owned platform, Instagram is quickly being indoctrinated into the FB advertising fold. While they haven't touched algorithms around what's appearing in Instagram newsfeeds (yet), it's getting harder and harder to reach new users and followers without the use of ads. If you're adding Instagram ads on to Facebook ads (which you can do right through the Facebook Ads Manager), plan on following a similar budget and strategy as your Facebook ads. Ahh Pinterest! The underappreciated and underutilized advertising platform, for small businesses especially. With the common misconception that Pinterest advertising is way too expensive and out of reach, not enough small business are jumping on this bandwagon. But we're here to tell you, it's WAY more affordable than you think! There hasn't been any evidence of needing to "start small" in Pinterest like you do in Facebook, but if it's your first time running ads on the platform it's always better to try testing with a smaller budget first to see if it's something that works for you. Plan on about $20-$30 per day (but feel free to go up from there) and about $100 - $500 per campaign. Once the king of all online advertising, competition is fierce. Google is THE search engine with the majority of searches done within it, it's no wonder advertisers are clamoring to get their brand in on it. However, with this one we like to say, “buyer beware!". While it can be effective, it's taking increasingly more and more money to outbid competition. In addition, users are getting very savvy to knowing what are "ads" and what is real, organic content. Latest studies show that about 60-70% of people searching tend to skip past the ads altogether and jump right to organic search. Good news? 30-40% of people are still clicking so there is still value in the platform, just be prepared to expand your budget. No seriously, understanding human behavior, or more specifically your audience’s content consumption habits, is key to creating consistent quality content that will keep your current clients, prospects and brand ambassadors engaged. We know you’ve already clearly identified your audience and we know you’re totally committed to producing really great organic content for your social posts, blogs, email campaigns, newsletters, videos, white papers, articles or other information but really identifying how your audience is consuming that information is key to your integrated marketing campaigns and efforts being effective. We don’t want you to just feel like a hamster spinning on a wheel after all! We often refer to ourselves as ‘Professional Spaghetti Throwers’ because we are constantly throwing spaghetti against the wall and quantifying what is sticking, what isn’t, what we should shelf, trash or invest more time, money and energy into. We do this within our own business and for all of our clients every day, every week, every month…it is SO important to really understand which efforts are creating a positive ROI - makes sense, right? We often get that glazed over eye, deer in the headlights, reaction when first discussing social media campaigns with prospective clients or when giving a presentation or workshop because so many of you feel overwhelmed enough already with the amount of work it takes to run your business and the thought of adding social media with all those different platforms can make your head spin. But, it is often not as complex as most think. No, really. Oftentimes, it’s really a matter of identifying which platforms make the most sense for your business to reach your audience. Let’s say you’re a realtor. You’re going to want to have a professional logo and a solid web presence that clearly represents your differentiator and unique value proposition, a Facebook page, a comprehensive personal LinkedIn profile and a company profile. All of these will of course be streamlined with a clean consistent style and with tons of relevant engaging content. Are you still with us? Once you’ve mastered these basics, which we’ll refer to here as the super important foundation, (which is often the hardest part to build) the rest is fun! …Well, for us it’s fun, let’s just hope it’s not painful for you! Now you’re ready to add some more floors to that solid foundation. Instagram: What about Instagram? We’re guessing you’ve got some pretty nice listings and/or you’ve sold some pretty nice properties to some happy clients? Take pictures when you’re working and post away! You’ll need to continue to follow a fairly consistent style or theme. Here are some great tips! Snapchat: Okay, we know your 13 year old uses Snapchat – you must be thinking we’re crazy. Why on earth would we be suggesting you should use it for your business? Here’s an eye-opening article by Gary Vaynerchuk that’ll back up our suggestion and prove that we’re not going cuckoo! It all goes back to understanding your audience, so this platform may or may not be a good idea. If you’re selling some stylish condos in an highly sought after area that is super popular to 20 and 30 somethings, Snapchat is a great idea, but if you’re selling retirement properties…probably not so much! Pinterest: Women are BIG decision makers and major players in the consumer real estate market so chances are Pinterest is a no brainer for the realtors out there. Here is a great article that talks specifically to that. We didn’t touch on video in this blog but let’s just say if content is king then video content is the king’s KING! Video is consumed more and more and if done right, you can’t go wrong with video content. We’ll be following up next week with a very beefy blog all about video content and best practices for using it in your integrated marketing strategy. Until then, happy content creating! Ok, so if you've had anything to do with Facebook in the past decade (that's right, Facebook has been around now for over 10 years! ), you've noticed that it's gone through some major changes. What once was a mecca for small business owners who were looking for organic reach and inexpensive advertising, has now become a frustrating place of lost content just floating around with no one paying attention to it. Algorithm changes over the past few years has significantly decreased the organic reach of business pages. It's gotten to the point now, where on average a business owner can expect that only 2% of the people who like their page will organically see what they've posted. As someone who spends a significant amount of time researching, creating and editing content to send out to the masses, that is a bummer. There's nothing worse than knowing you have something really important to say, without an audience to say it to. Well, once you've mourned the loss of your organic reach (because trust us, it's not coming back), it's time to buck up and make the best of it. Despite some challenges, there ARE ways you can get great reach on the social media platform at a lower cost than other outlets, and those are Facebook ads. Trying them out? 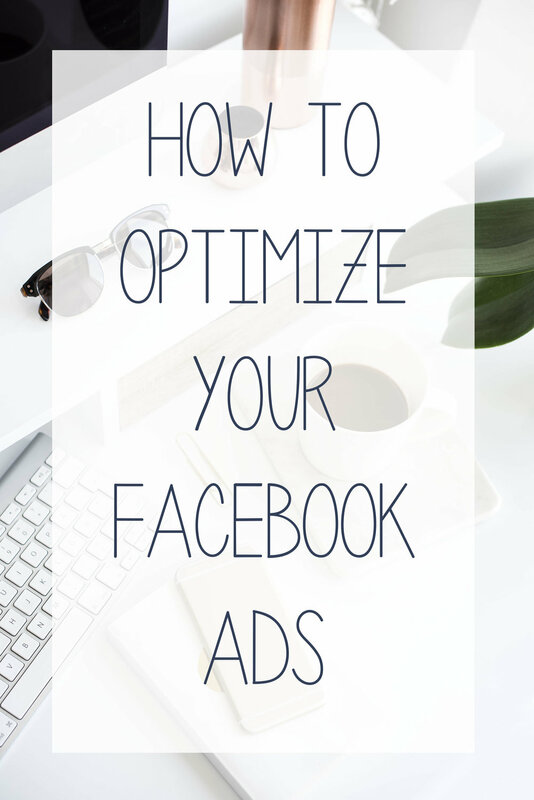 Below we're breaking down just a few tips to help you optimize your ads to ensure they're working the best for you. 1. Spend some time researching your audience and target them. When you're looking to target your ad don't just go by geographic area. 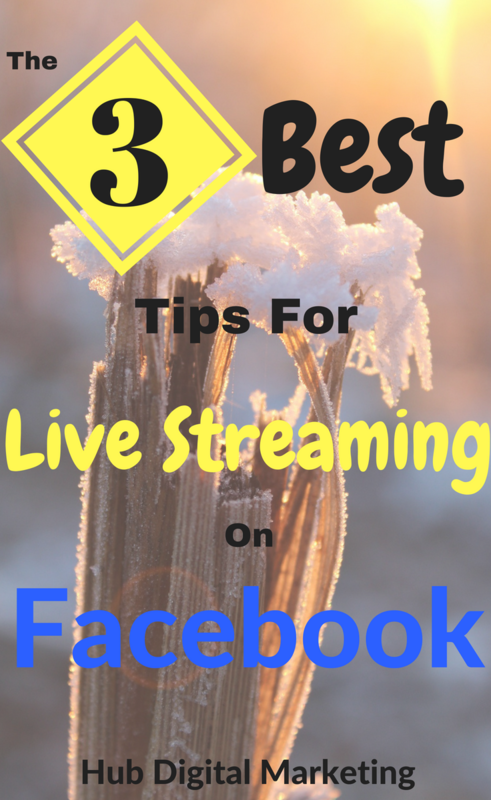 Take some time to do some research on some of your existing audience's interests and likes. On Facebook you can target by general interests, things they've looked at on the web, and even other complimentary Facebook pages they've liked. Spending some time playing with the interest categories available for targeting can make a HUGE difference in your ad performance. 2. Pick the ultimate pic. Ahh the ad image. This is always the most difficult (for many people) when designing an ad. The image is the first thing people will see when scrolling through their newsfeed so you want to make sure it not only makes sense with your content, but that it's attention grabbing as well. Find something with bright colors, interesting designs or a little bit of humor to ensure maximum results. And be sure to keep text to a minimum! While Facebook has loosened up a little on their restrictions, it will cost you more to run an ad with text in the image than one that doesn't have any. And be sure to keep it in the 1200 x 628 wide format so it fits the space nicely. 3. Start small with the budget. A lot of times people think the more money you throw behind an ad the better. However, recent studies have shown that dramatically increasing your budget will actually cause your Cost Per Click (CPC) to go up dramatically as well! Start your budget smaller (about $5 per day) and test it out over the course of a few days to see how it's working for you. Don't like what's happening? Go back and edit the image, text or both until you find the right mix. Happy with the results? Slowly increase your budget (No more that $5 per day) over time to increase the reach without increasing the CPC. So, even though I'm still in my 20's, there is nothing that can make me feel older and out of touch like Snapchat can. I understand how to use it, and even have fun sending snaps to my friends once in awhile. But the second I get in front of my teenage cousins and her friends, who are masters at the platform, it becomes pretty clear that I just don't "get it". As someone who prides themselves in being pretty up to date with all things digital (I mean, it is my job, people...) I've decided to take it upon myself to do a little research on this relatively new social platform so we all (because I know you've been wondering too) can finally grasp not only the purpose of the app, but it's business implications as well. Ok, let's start with the basics. What is Snapchat? Don't know? Don't worry. You're not alone. I get this question almost daily and unless you're in high school, college or immersed in digital culture, you probably have heard of it but may not have any idea what it does. Snapchat is essentially a messaging app that allows you to send photos and videos that only last for a predetermined period of time. Although recent updates, like Snapchat Memories, allow you to now access your camera roll, the original purpose of the app was to take photos within the app only and share them with friends quickly, before they essentially "self destructed". In the past year alone, Snapchat has seen a 400% growth, officially beating out Twitter in the User game (it now boasts about 150 million registers users and rising). Another feature to the app, and one that makes it interesting on a business level, is "Snapchat Stories". Outside of sending pictures and videos directly to friends, this part of the social media platform essentially acts as your newsfeed. You can post content to your account that can be accessed at any time, by anyone that "follows" you, for 24 hours. This is where many businesses can find opportunities to post sale announcements, featured products, behind the scenes tours, etc. However, with a variety of other platforms like Instagram, FB and Twitter, this leaves many business owners scratching their heads and wondering why in the world they have to add yet another platform update to their already overbooked schedules. Well, whether or not you choose to add it to your repertoire really depends on your audience. To being with, Snapchat users skew VERY young. In fact, recent studies show that 23% fall within the 13-17 yr. old age group, while 37% are between 18 - 24 yrs. old, and 26% are between 25-34 yrs. old. While there is some disposable income to be had in these groups (not to mention the social buzz they can provide), it isn't necessarily the right target for all businesses. If you know you tend to skew a little older with your demographics, than this platform may not be worth investing in. The other part of the equation is figuring out if you have the time, energy and resources to develop strong, engaging Snapchat content. Whether you choose to directly message your followers with exclusive content, or post out to your story for all Snapchatters to see, it takes time to create a strategy around content that is not only exclusive, but interesting to Snapchat users as well. Don't forget, these users are young and cool, and don't appreciate anything cheesy, too salesy, or boring. Think about creating content that isn't just to sell a product, but to interact and entertain as well. Thinking about diving in (or maybe just testing the waters) to Snapchat for your business? Check out this super cool infographic courtesy of mediakix with some examples of brands that are doing it right and ideas on how you can get started. Many of the questions I get on a daily basis revolve around the infamous "Google My Business" platform. Everyone wants to know how to show up on the "little map thing" in Google Search, but no one really knows what it is or how to get there. Let me break it down for you. In-depth insights into how many people viewed, clicked on, or called your business from this listing. Easy "click-to-call" capabilities for smart phones. Meaning if someone Googles you on their phone a button will appear where they can call you in one click. Integration with Google maps to easily show where you are located on a map when searching from a desktop, and one click access to directions when searching on a phone or tablet. Businesses with a Google My Business account also get several benefits in search. These range from showing up, essentially immediately, on the first page in search (on the right hand side map search section), as well as the added SEO benefits of linking your website directly with a Google property. Now here comes the confusing part. There are 2 ways you can sign up - as a "Brand" page or as a "Location". A lot of businesses lean towards the "Brand" option as they may service multiple locations or may not be location specific. Here's the problem with just doing a "Brand" page. You don't get all the added benefits that I listed above. You are only going to show up in that Google Search Map section if you sign up as a location and verify it. So here's how you do it. Head on over to www.google.com/business and either sign in (if you have a gmail account already) or click "Sign Up" if you don't. From there you're going to click "Add a Single Location". From here you can follow the steps to either claim your business (if it's already listed) or add it from scratch. Keep following the steps to fill out all your information. Here's where you have to be patient. Google will send you a postcard in the mail with a verification code. Until you enter that verification code you won't be a "verified" account and can't reap the benefits of having a Google My Business profile. Once it's verified, it's important to keep you profile up-to-date with the correct information. Check in about once per month and make any changes to your contact info, hours or description as needed. Google My Business is also integrated with the Google+ social media platform. They haven't officially announced that if you post to Google+ they're going to rank you higher in search. However, think about it this way - chances are Google is going to favor its own social media platform. It can't do anything but help you to post on it and show Google you're utilizing it. The other benefit is that it gives you another opportunity to create keyword rich posts and content as well as places to link back to your website. At the end of the day, spending just a few minutes a week keeping things updated, fresh and new is well worth it in the long run. Social Media Contests - What is Actually Allowed? Everybody knows, there is no better way to engage an audience on social media than a contest. People love give-a-ways, and they love the thrill of possibly getting something for free. However, there is a lot of confusion surrounding social media promotions. Facebook has recently begun implementing rules about what contests are and are not allowed on business pages. Businesses that break those rules could be risking their page getting shut down and losing all of their followers. Below we're breaking down some of the contests you CAN run as well as some ideas to help you make the most out of your next social media contest. 1. Like To Win (PAGE) - Currently, Facebook allows you to collect page likes in exchange for contest entries. This is one of my favorite contest types. Not only will you get people interacting with your page for your contest, but they will continue to see your updates after the contest is over. To encourage shares and to spread the contest even further, I like to create a "tipping point" in order to win. As an example, if a page is hovering around 1,500 likes, the contest would have a contingency that says it will be activated when it reaches 2,000 likes. With this contingency, entrants are more likely to share with their friends and family to participate to activate the contest and win the great prize you're offering. 2. Like To Win (POST) - Similar to the "Page Like" contest, you can also ask participants to "like" a certain post to enter the contest. To me, this is a little less effective as it doesn't encourage long term engagement with a Facebook page. However, it's extremely easy for someone to just "like" a post so this technique tends to encourage a lot of entries. This type of contest is great if you have a smaller prize that isn't tempting enough for a more difficult entry process. 3. Comment - These require a little bit more work by the entrant but can be a great way to get your contest (and subsequently your business) in front of someone's friend list (since what they're commenting on tends to show up in newsfeeds). You can encourage comments in a few ways. You could ask people to comment on a photo with their best caption idea. You could ask for help naming a product or to come up with a new, creative idea. (As an added bonus you now get to utilize the new name or ideas provided by your audience). Or you could write a sentence and ask entrants to fill in the blank. 4. Run a Poll/Vote - This works by asking a question and asking people to vote (either through comments or through a 3rd Party App like Poll on Facebook). These are great ways get feedback from your audience while offering an incentive for them to do so. Another idea is asking for entries that will then be voted on. You could run anything from a "Cutest Baby Photo" contest to a "Fan Of The Week" contest. This will encourage those who have entered to share their photo or entry to encourage more votes, which means more eyes on your brand. 5. Tag The Photo - This one is a little different and I haven't seen it done many times, however, may be worth trying out. Your business could post a picture and ask entrance to "tag" themselves in the picture with a piece they identify with. As an example, a jewelry store could post a picture of different ring styles and ask women to tag themselves in the style they like the best. This photo tag will now post to each entrants timeline and will show to all of their Facebook friends. As a general rule of thumb, the biggest thing that can make or break a contest is the prize. Make sure the value of your prize is in line with the amount of work a participant has to do to enter. The more steps that are involved the better the prize must be, or a user it more likely to keep scrolling. So, I started writing this post really as a way to convince myself to get on Instagram. Now, don't get me wrong. I LOVE the platform and use it personally and professionally for some of my clients. 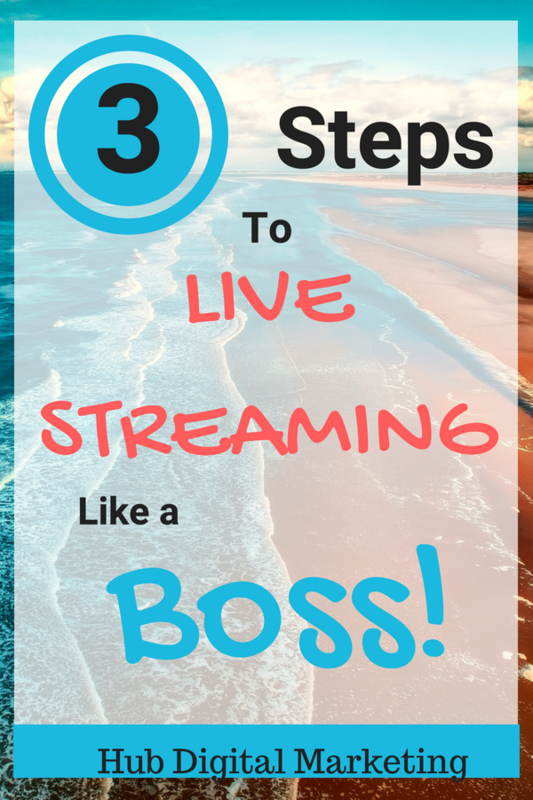 I know I, and many others, have seen HUGE amounts of traffic driven through Instagram posts. However, I've never created an account specifically for Hub Digital. My reasoning has always been, "What would I post about?". Let's be honest, marketing is not very exciting. It's a challenge just to get people to read my blog or Facebook posts. How am I supposed to come up with exciting, cool images that will get people to follow me related to marketing? Well after doing a little bit of research, I found that utilizing social media platforms like Instagram IS doable for service based businesses like mine (and I'm sure plenty of you). Below are a list of tips and ideas on how you can rock an Instagram account even if you think you don't naturally have great content for it. 1. Go Behind The Scenes - You may not think your life is super exciting but you'd be surprised how interested people are in what it takes to get your job done. Throughout your day take pictures of the little moments that make your business what it is. Driving a long distance for a client? Take a picture and post about the new area you discovered. Came across a cute dog on a service call? Snap a pic and post about your new little companion for the day. 2. Give Advice, Accompanied with a Fun Picture - People love free advice. If you can combine that with an eye catching image it's ten times better. As an example, if you're a tax professional you could snap a pic of an over-packed closet and remind people that clothes donations are tax deductible. 3. Be Inspirational - Who doesn't love an inspirational quote? Post something that speaks to you and your brand. Keep it in your brand's colors or fonts to really play up who you are. Relate it back to your business and inspire people to move forward with something. 4. Take Advantage of a Holiday - Check your calendar and make sure to take advantage of any holiday's, big events, sports games, anniversaries, etc. It's always great to stay relevant and on top of current events. If you're running out of ideas - make sure you check out the Days of The Year calendar. It has a bunch of fun, internet holidays that you could take advantage of such as "Be Kind to Lawyers Day" or "Blueberry Pie Day"
5. Post a Testimonial - Don't just tell, but show, how your service can benefit your clients. Screenshot or create a little meme with some of your latest and greatest testimonials. Sprinkle them throughout your instagram feed for instant impressiveness. We've got a Q: Quality or Quantity? When it comes to social media, we often seem to idealize those accounts with 10's of thousands of likes or followers. We strive to get as many likes as possible in order to compete and feel important. We think it is only in mass numbers that our pages will hold any sort of authority or drive any kind of significant sales. However, recent studies have shown that you don't need thousands of fans to make an impact. Despite what you may think, your general fans are not the ones sharing, commenting on and liking your content. It's your SUPER fans that are doing that. They are the ones that are championing your brand, spreading your content and purchasing from you. These are the ones you want to appeal to and these are the only ones who are reading your messages. I know that sounds a little harsh, but let me explain. According to it's own estimates, the average Facebook user could see up to 1,500 messages per day. However, they are only shown about 300 messages per day based on what they most likely would care about. This means that just because someone "likes" your business page, doesn't mean they're going to see your status updates. Unless they show interest in your information (by clicking, liking and sharing) chances are they aren't going to see your post anyway. Instead of focusing your time on getting more likes or followers, shift that intention to crafting quality content geared towards the ones you do have. It may sounds obvious, but too often businesses attempt to appeal to a wide audience. Instead of garnering any sales, you're now marketing to a lukewarm audience that may-or-may-not be even seeing it. Take some time to create content geared towards those Super Fans who not only care, but will champion your brand. In this case, the old adage really is true, "Quality over Quantity".